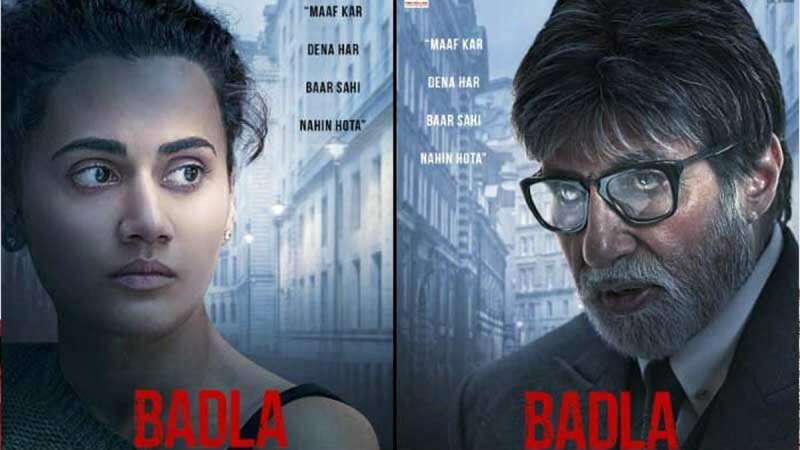 New Delhi : The makers of upcoming movie Badla have released first posters featuring Amitabh Bachchan and Taapsee Pannu. Directed by Sujoy Ghosh, the film is an official remake of Spanish film, titled The Invisible Guest (2016). In the posters, both the actors can be seen giving some intense expressions. Produced by Red Chillies Entertainment, Shah Rukh Khan first took to Twitter to first build curiosity around the posters and then finally revealing the two posters on social media. This will be the second time when megastar Amitabh Bachchan and Taapsee Pannu will be sharing screen together. They had last appeared together in Pink in 2016. Badla has been scheduled to release in theatres on March 8.